babba Sep 09 2018 2:56 pm Shibasaki Kou is so adorable here! SisukaChan Mar 18 2013 8:55 pm Ueno juri >.<! This drama is still one of my favourites though~~ PERFECTION! Lenya Dec 15 2009 1:00 pm Really good. The couples are perfect ( sae and kai, akane and shohei). Turned out it´s one of my favorite dramas. Love Satoshi Tsumabuki as Kai. mitzmin Dec 11 2009 3:51 pm The cast is Perfect! I guess there ain't any other to describe better. And the plot is very good too. I men, when I read it I thought It would be overly dramatic, but when I tried it out it wasn't, it was actually very fun and natural. 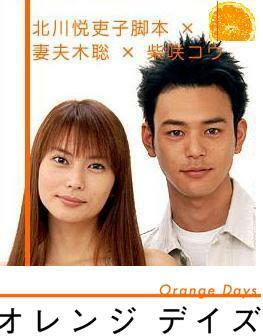 Kou shibasaki and satoshi blended very well on their charactes. Although at a small part I got trully nervous because every thing was going wrong, at the end it got much better and was perfect too.